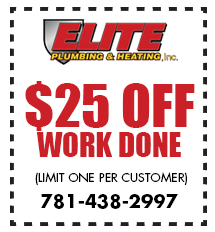 Water Heater Specialists for Repairs, Installations & More | Elite Plumbing & Heating, Inc.
We install and service water heaters that are guaranteed to save you money and energy. If you’re paying more than you think you should for hot water, you probably are. 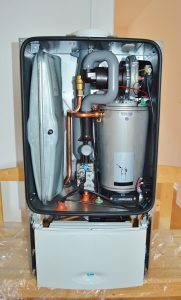 Talk to our professionals today about whether your water heater is in need of maintenance or if it’s time for a total water heater replacement. 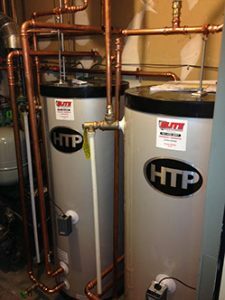 We specialize in the installation and maintenance of water heaters for both residential and commercial spaces. Have questions about what water heater would work best for your home or business? We have answers! We can help explain the differences between hybrid heaters; electric, gas fired, and tankless hot water heaters as well as indirect storage hot water heaters and help determine the right capacity for you! We will work closely with you directly to choose the best option for you.